This is a guest post by our colleague-in-sustainability, Jane DeLorenzo. She recently completed the on-line Certificate in Corporate Responsibility & Sustainability Strategies. The platform is hosted by G&A Institute and developed in partnership with IntegTree LLC. This is a dual credentials course! A certificate is issued by Swain Center for Executive & Professional Education at the University of North Carolina-Wilmington and a separate certification is issued by G&A Institute. This commentary is prepared as part of the completion of the coursework. We are sharing it today to broaden understanding of the state-of-sustainability reporting – present and future. Find out more about the dual certificate program here. Now is the time for businesses and other organizations to take a closer look at their sustainability reporting; key considerations are what they report, why, how and which standards to use. New standards released by the Global Reporting Initiative (GRI) will take effect July 1, 2018 — so the clock is ticking. As more global companies produce sustainability reports, the process has become more complex. Competing standards and frameworks, increasing pressures from investors and other stakeholders, and the costs and resources involved to develop such reports can be challenging – and baffling to leaders. While GRI is positioning and advocating to be the de facto global reporting standard, companies can select other frameworks, such as those of the Sustainability Accounting Standards Board (SASB) or the International Integrated Reporting Council (IIRC). There are important factors to consider. Organizations can opt for an integrated report that includes both financial and sustainability information, or they can issue a sustainability report that is separate from the annual financial report. Producing no sustainability report is also an option, since all three of these standards are voluntary in the United States and most other countries. Companies should be aware, though, that stakeholders may cry foul if no report is produced. Public outcry due to rising awareness of pollution and social inequities pushed companies to try to be more transparent. Shareowners were making the case that non-financial issues can and do impact a firm’s financial performance. Demand for environmental and social disclosures led to the formation of GRI in 1997 by the Coalition for Environmentally Responsible Economies (now known as CERES) and the nonprofit Tellus Institute, both based in Boston. GRI later partnered with the United Nations Environment Programme (UNEP), which had been promoting voluntary environmental reporting by companies and industry groups. At a ceremony in 2002 announcing the move of the GRI headquarters from Boston to Amsterdam in the Netherlands, UNEP Executive Director Dr. Klaus Töpfer acknowledged GRI’s mission to develop a framework for voluntary sustainability reporting. GRI launched its first sustainability reporting framework in the year 2000 and subsequently developed four versions of its guidelines (G1 through G4). Keeping current was a long-term challenge for companies reporting their corporate social responsibility (CSR) efforts. Over time it became clear that a simplified, easier-to-update standard was needed. The new GRI Standards are meant to streamline and simplify the process. Using the right tool, or standard, is the key to companies producing a successful report for their target audience. While GRI is the widely-accepted framework for reporting sustainability initiatives to a broad audience, SASB focuses on reporting to the investor audience. This audience is interested in the link between sustainability and financial performance. Both GRI and SASB agree on a common goal: to improve corporate performance on sustainability issues. CDP (formerly known as Carbon Disclosure Project) partners with organizations to measure their carbon footprint. Many companies use CDP alongside other reporting frameworks. ISO, the International Organization for Standardization developed ISO 26000 to help organizations improve their social responsibility efforts. OECD is the Organization for Economic Cooperation and Development. Its industrial economy member countries negotiate guidelines surrounding social responsibility. SDG stands for the United Nations “Sustainable Development Goals.” UN member states adopted the 17 SDGs with 169 targets that seek to protect the planet, end poverty, fight inequality and address other social injustices. The EU published its own guidelines in 2017, but it allows companies to choose among the various standards. Laws requiring CSR reporting are also in effect in South Africa, China and Malaysia. Meanwhile, a growing number of stock exchanges around the world are issuing sustainability reporting guidance and requirements. Companies that are just beginning the process to report on their sustainability impacts should find the new GRI Standards relatively simple to use. The Standards are free to download from the GRI website (www.globalreporting.org) by registering a company name and email address. Organizations can use all or some of the Standards, but they must notify GRI of their intended use. The new Standards are made up of three modules (or manuals): (1) the Foundation, which describes the basic reporting principles; (2) General Disclosures, which outline required contextual information about an organization and how it operates; and (3) Management Approach, which requires organizations to state how they approach their selected sustainability topics or issues. Once a company determines its approach to a key topic, this management approach might stay the same from year to year. Also, one management approach may apply to several key topics, which should make reporting more concise. The Standards include three additional modules that are organized according to topic categories: economic, social and environment. Focusing on material (or key) topics, rather than a long list of topics, should also make the reporting process more concise as well as more meaningful to stakeholders. In other words, less is more. The new Standards direct companies to identify their key topics and then report on at least one of the topic-specific GRI disclosures. For example, Company XYZ determines from stakeholder feedback that the topic of waste will be included in its sustainability report. Both the new GRI standards and G4 guidelines include five disclosures on waste. The new Standards require reporting on one disclosure so Company XYZ can report more in depth on this key topic. Previously, some companies felt compelled to report on a greater number of topics and disclosures in order to be ranked favorably by rating agencies like Bloomberg or Thomson Reuters. These ratings not only can affect a company’s stock price, but they also can influence a company’s CSR strategy. Regardless of which sustainability reporting guidelines an organization chooses, the number of companies producing voluntary or mandatory reports is growing. The process itself can give companies a clearer picture of their impacts and progress meeting their CSR targets. These insights help companies develop strategies to identify risks and opportunities within their realm of sustainability. Because the GRI framework has been widely accepted globally, its new Standards will likely have a strong impact on the future of reporting. But it’s also likely that the leadership of corporations will continue to take a closer look at the link between sustainability and financial performance. Consequently, other frameworks that focus on both financial and non-financial impacts could gain acceptance. Reporting must consider the financial bottom line if a company is to be both profitable and sustainable. What matters is that organizations need to be mindful of their reasons for reporting and how sustainability reporting can make an impact internally and externally. Honest, balanced and transparent reporting will ultimately benefit companies, their stakeholders and society-at-large. 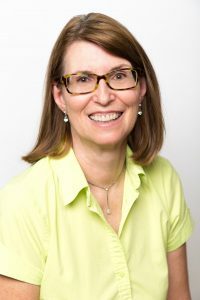 Author: Jane DeLorenzo is Principal of Sustainable Options, specializing in sustainability report writing and editing, and compliance with GRI reporting. The on-line Certificate in Corporate Responsibility & Sustainability Strategies provides a broad overview of key corporate responsibility challenges and strategies that will enable organizations to succeed in the 21st Century Green Economy. The Program Developer is Nitish Singh, Ph.D., Associate Professor of International Business at the Boeing Institute of International Business at Saint Louis University with Instructor Brendan M. Keating.